So, earlier today, we began the countdown for the best sports foods to have for your home tailgate or just for a party in the game room, but now we will get into the top 5 foods you need to have for your sports event with friends and family, with many of the foods available in the new online grocery store at the SportsFanPlayground.com site. Many of the dishes listed may or may not be the normal dishes you will find in a regular setting persay, but at the end of the day, its all about having food that is tasty, can feed a few people and can be prepared in a quick amount of time. So, without any more delaying, here are the top 5 foods to have at your next tailgate event. Old El Paso Thick & Chunky Salsa – Sold in a 6-pack for $15 at SportsFanPlayground.com online grocery store. Tostitos tortilla chips always makes for a good salsa dipper, just don’t double dip! Chips & salsa is always one of the best ways to start off the sports night. Its quick, easy and always tasty. While I do love the chips and salsa, I am also a fan of the beef & cheese nacho setups as well, but there are a variety of different recipes to set that up. Faygo Pop, a Michigan-made favorite, will make you change any opinion you may have on soda. Its absolutely amazing. 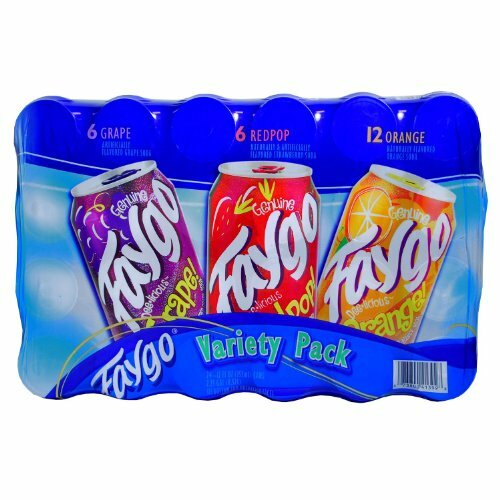 If you live in certain parts of Michigan and around the midwest, you know about Faygo. It is a locally-based company in the state, and, by far, has the best flavored sodas anywhere. They aren’t expensive and if you are at a sports party or tailgate in this part of the country, you will almost always find some Faygo available. 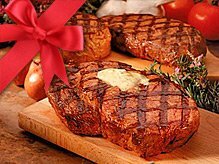 Angus Beef Ribeye Steaks from Rastelli. These ribeye steaks are very easy to season and throw on the grill quickly and have them set. I would personality marinade them in some bbq sauce, a mustard sauce or some kind of spicy seasoning with a nice dipping sauce on the side. If you don’t really care about adding some extra pounds, you can dip the pieces of steak in a nice applesauce or ranch dip for a cooling effect, almost with the same theory as you can with chicken wings. 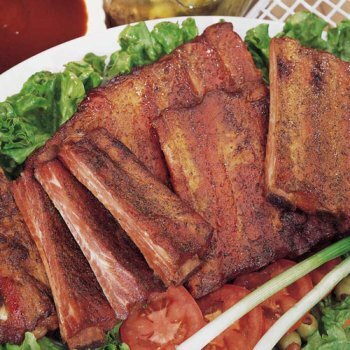 Baby back ribs are outstanding whether they are grilled outside or baked in the oven, which is an option especially with the weather getting colder. Baby backs aren’t incredibly pricey and for a small getogether, through in some loaded baked potatoes and some celery, you have a winner! Turkey. Classic sports dish. It can be in the oven all day on Thanksgiving or Thanksgiving night, fried outside, and used as an amazing leftover on a great football weekend after the big dinner. 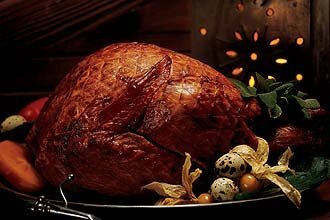 It is undoubtedly the biggest meal and most sports-driven main dish on the planet. That’s it for our countdown! See you tommorow for our next post. Where do the Detroit Tigers Go After This Season?